Functional medicine is an approach to healthcare that looks to understand why someone is sick. In conventional medicine, physicians are taught an approach to healthcare that medicates or operates. The functional healthcare practitioner is an investigator who partners with the client to search for clues for what has upset the balance of a client’s health. Then, the practitioner develops a plan to restore that balance. When the plan is successful, health is restored. A functional approach to healthcare takes into consideration someone’s diet, lifestyle such as exercise and stress management, attitude, family history, gut health, and in some cases, genetics. The well-trained functional healthcare practitioner spends a great deal of time working through all these layers of information. I often spend three hours with a new client over two appointments sorting through the information. Then, I may spend upwards of an additional ten hours investigating and compiling all the pieces of information I have. Compare that to your conventional medicine doctor. Doctors are expected to spend six to ten minutes per patient. How can a physician understand all those layers of information with only ten minutes? The answer, of course, is they can’t. Let’s take a look at how the functional approach is different from a conventional approach in specific health conditions. Think about chronic pain. A conventional medical doctor will offer pain medication, either NSAIDs or opioids. Surgery may be recommended. 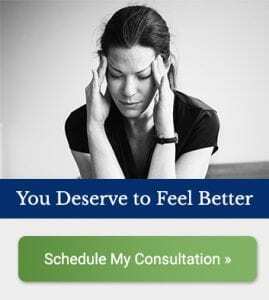 According to Dr. Joe Tatta, medical doctors receive an average of 9 hours of instruction on chronic pain with the bulk of that instruction focusing on pharmaceutical treatment. An enlightened physician may recommend physical therapy or nutrition therapy. We know based on the cutting edge research, that chronic pain can be greatly improved if not completely remedied with a holistic approach to the person in pain. Diet, supplementation, exercise, and assessing a client’s emotional response to pain are all effective approaches to reducing and eliminating pain holistically. Think about another common chronic disease, hypertension. A conventional medicine doctor will give you a pharmaceutical drug and tell you that you’ll be on the drug forever. A functional medicine practitioner will look at why your blood pressure is going up. Is it due to lifestyle or dietary choices? Is it due to toxicity? What can you do to reduce your hypertension? One of my clients had chronic hypertension and his doctor wanted him to take a prescription drug to reduce the blood pressure. My client didn’t want to take medication and was willing to take personal responsibility for his choices. After a full assessment of his diet and lifestyle, I was able to recommend changes that resulted in a normalization of his blood pressure. It is interesting to note that he did not employ all the recommended changes. However, of the changes he was willing to make, they were enough to make the changes he and his doctor needed to see. There are a handful of medical doctors that practice functional medicine, but they are few and far between. Most functional practitioners are experts in nutrition like me; physical therapists, naturopathic doctors (ND), chiropractors, or nurses who’ve received alternative training. Personally, I think the best healthcare for anyone is to partner with a team of functional healthcare professionals and conventional physicians that coordinate your care. Good health is ultimately the responsibility of each one of us and is the result of the hundreds of decisions we make everyday. Partnering with experts in nutrition, epigenetics (changes in a chromosome that affect a gene’s activity), and others can help you develop laser focused preventative strategies. And should you need western medicine, be grateful for the advances we’ve made and take what you need. Never stop taking a medication your doctor has prescribed. Stopping a medication can be harmful to your health. If you decide you want to try a functional medicine approach, contact me and I can work with your physician to help you develop a plan.